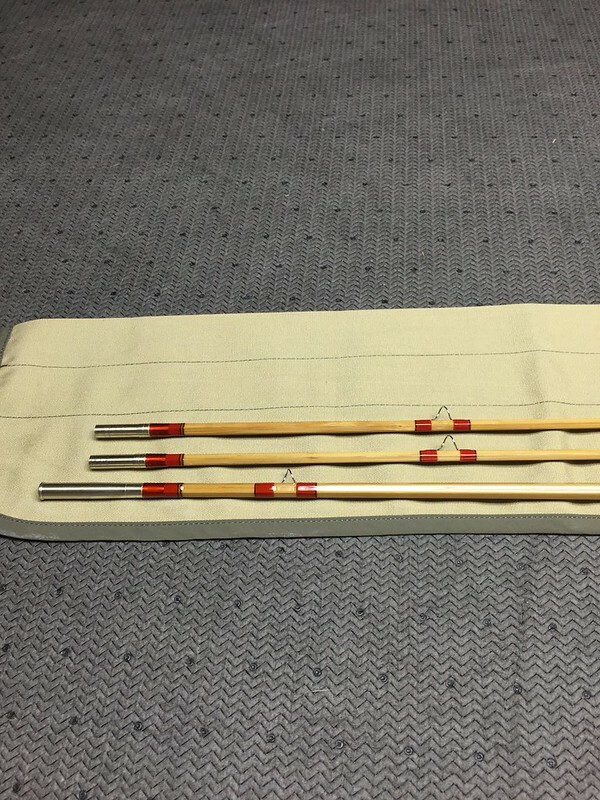 Donation rod for my local chapter of TU. 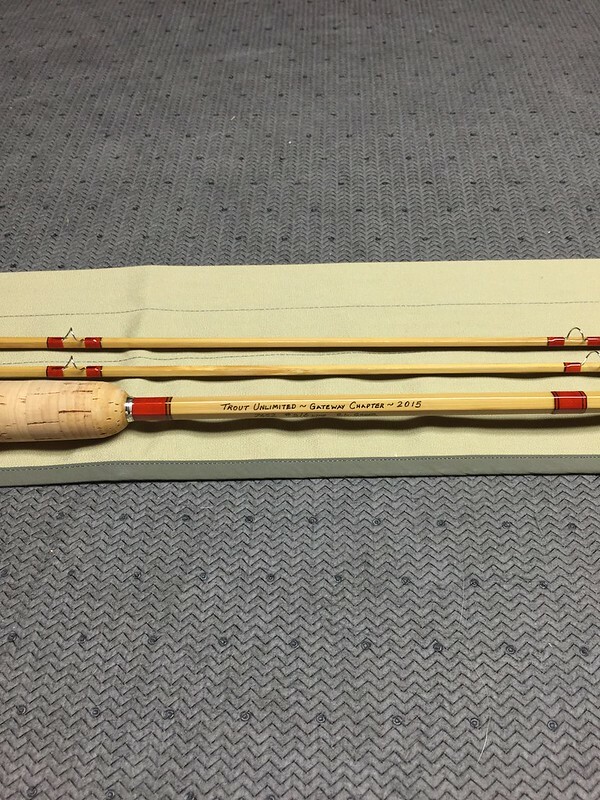 Some of the officers from my local TU chapter asked if I would be interested in donating a rod for a fund raising auction. 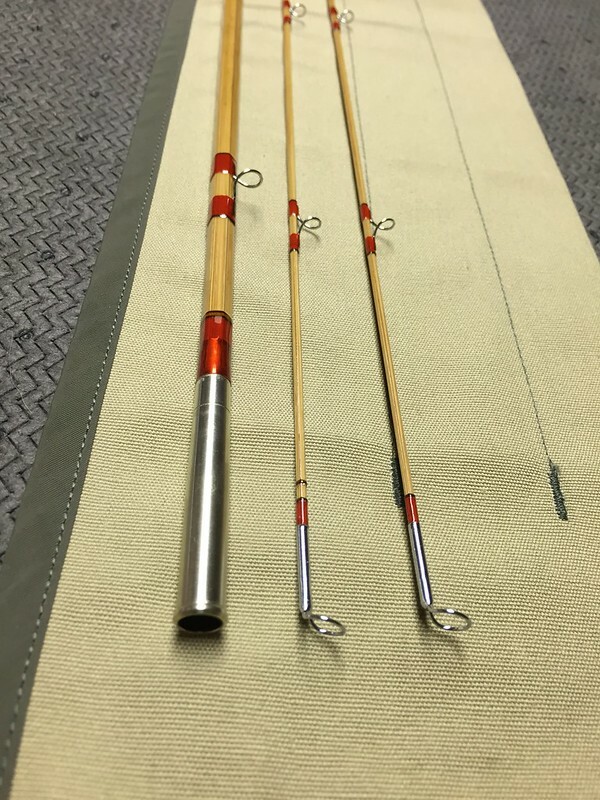 I agreed to do it and I went over some rod details with them. 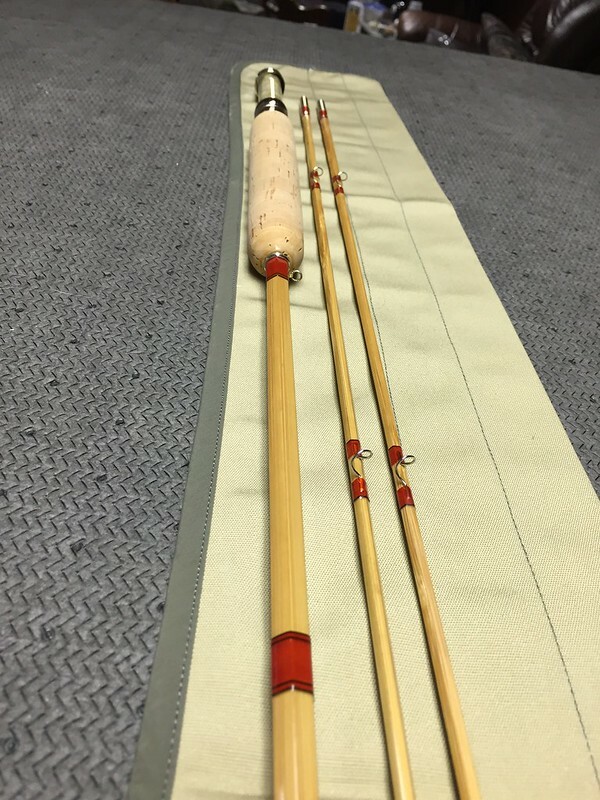 It is a 7ft 6in; 2pc / 2tip rod for a 5/6 line. While casting, I liked a 6wt line up close and a 5wt line for a little distance. The snake guides are Snake Brand Guides. The agate stripping guide is from Joe Arguello. The ferrules, strap & loop hook keeper, and hex winding check are nickel silver. 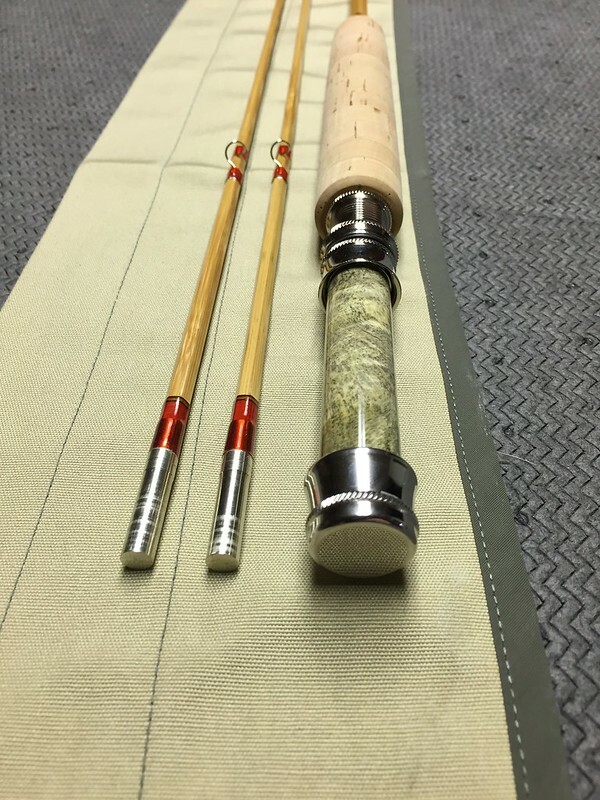 The reel seat is a Lemke LC1 (downlocking) from Ron at Soutwest Customs. 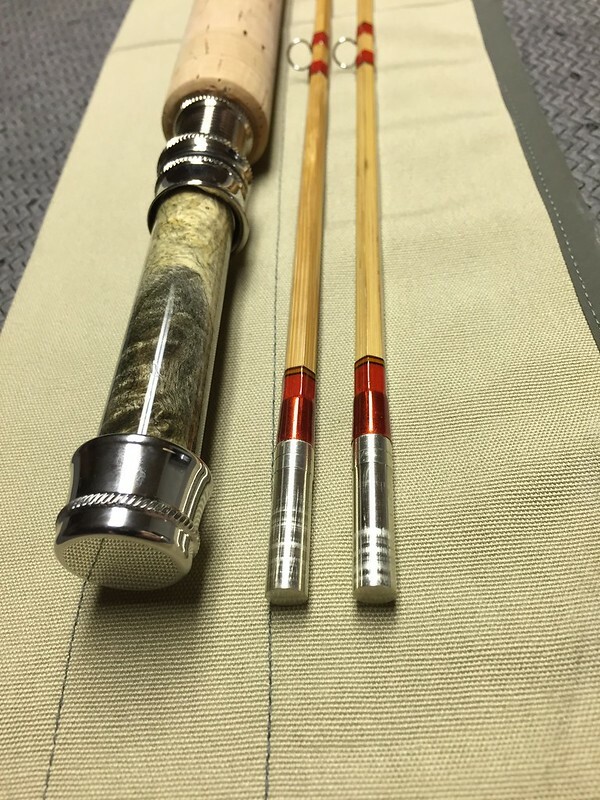 The reel seat insert is from a piece of buckeye burl. 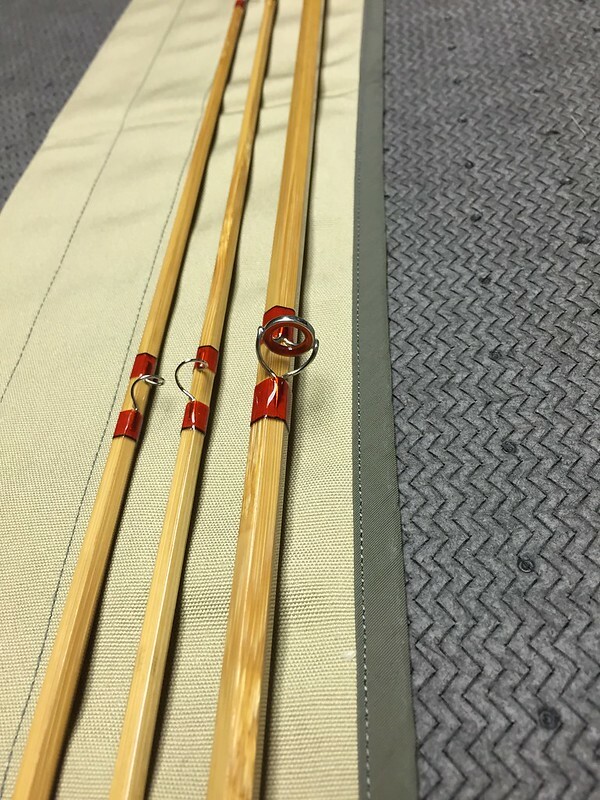 The rod is wrapped in fine silk and finished with spar varnish. The auction is in a couple weeks. I hope someone likes it well enough to bid high on it.